Hello, November! 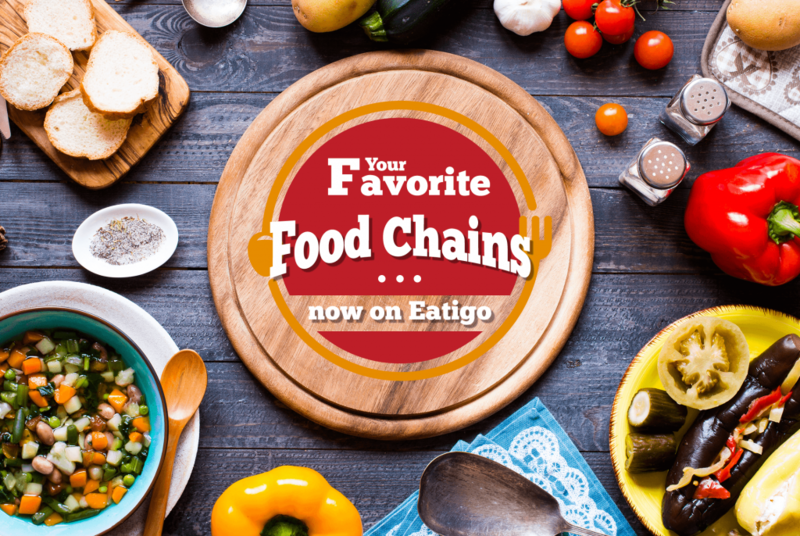 With the new month crawling in, Eatigo is treating its loyal patrons to another hefty deal starring noodle joints all over the metro. 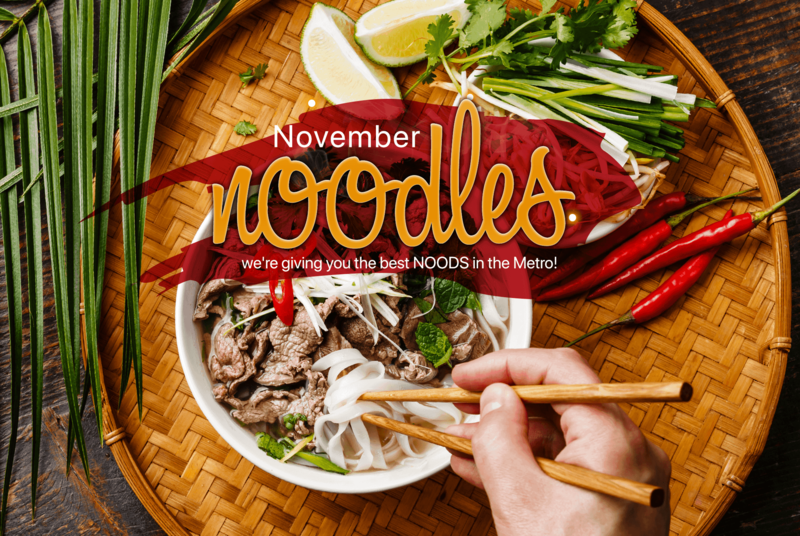 From Chinese, Italian, Taiwanese, Japanese, up to Thai specialties, this month is bound to be a delicious one. 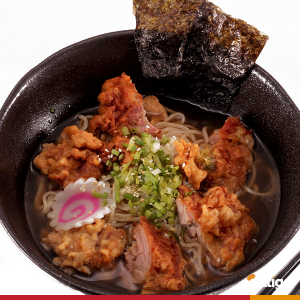 Kicking off with a popular choice, Ramen Nagi is on every Japanese-food lover’s list. They’re famous for their DIY ramen bowls but it’s the Black King that gets raved about most. The sumptuous jet-black aroma flavour is creamy and outstanding, coupled with thick slices of chashu and tamago if you’d like. Their take on gyoza is a must-try as well. 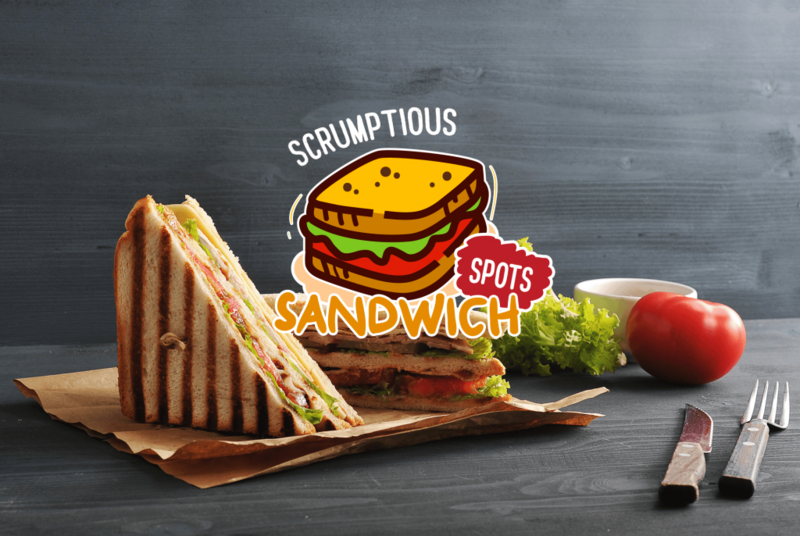 Find them at Robinsons Magnolia, SM Aura, and Ayala Malls on the 30th. Ramen Nagi; top on everyone’s list of Japanese favorites! In the heart of Malate you’ll find My Own Ramen, another restaurant which lets diners customize their orders. 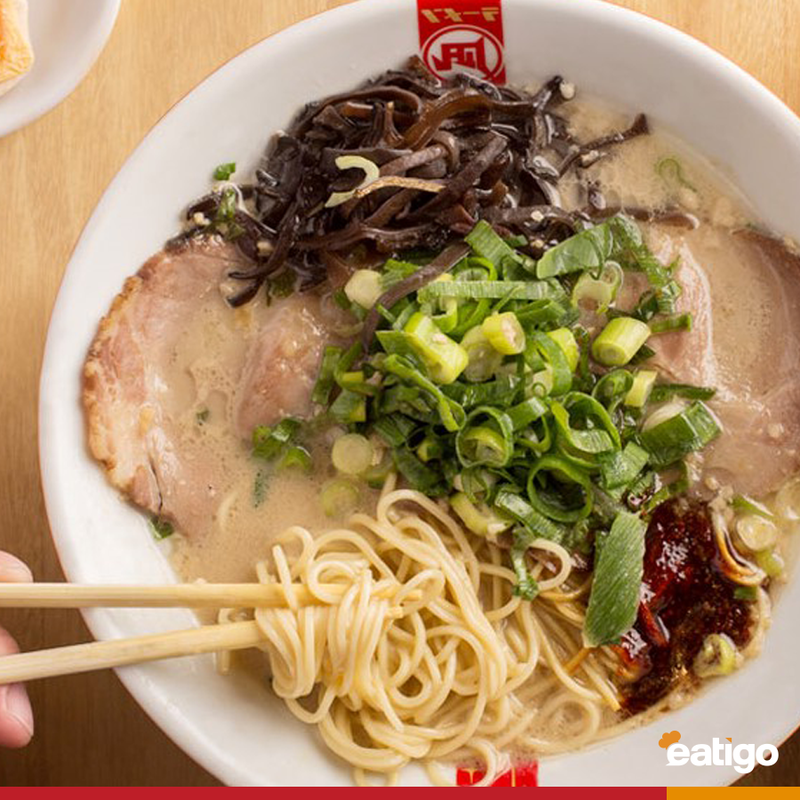 The Chef Recommended Tonkotsu Ramen is light but packed with flavor, as well as the Shoyu Ramen. Have their wagyu cubes on the side, they’re pretty great. 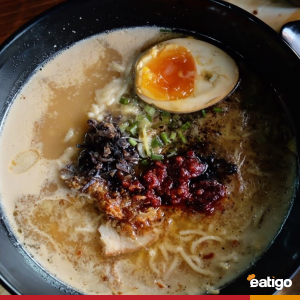 Jumping over to Highway Hills, Ramen Bar is best known for their steaming bowls of ramen and Japanese rice bowls. Among the best-sellers are the R.B.S. ramen and their unique Longganisa ramen which is both savory and hearty. Speaking of hidden gems, Little Kitchen Noodle Place has a following of its own. They have a wide assortment of wok and fried noodles, but the Sate Beef Chami and Pork Asado with Shrimp Wok Noodle are especially good. Little Kitchen Noodle Place offers scrumptious, affordable Chinese dishes and all-time favorite noodles and dimsum. Fat Fook is another crowd-favorite, and for many reasons. What they serve are authentic Taiwanese food that loses nothing in translation. 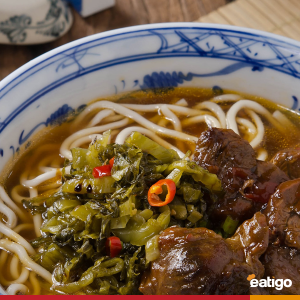 We recommend both the Intestine Misua and Taiwan Beef Noodles, but spare some room for the Pork Xiao Long Baos. 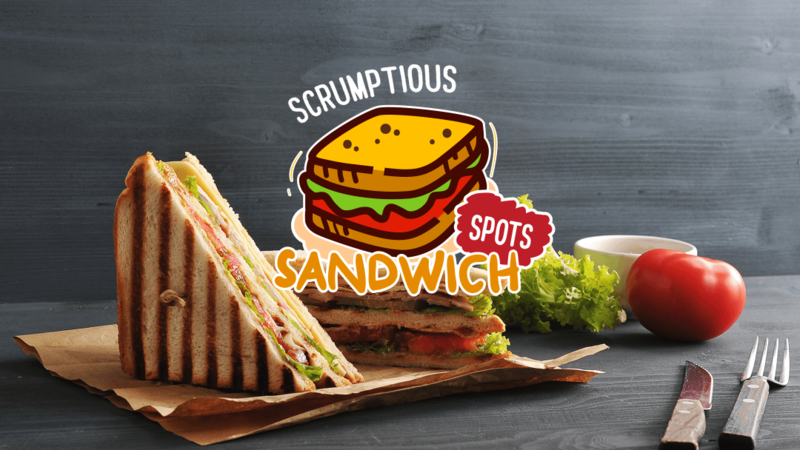 Find them at SM North EDSA, SM Megamall, and Robinsons Galleria. Fat Fook will never fail to give you your favorite Taiwanese dishes! In the middle of BGC’s hustle-and-bustle, find a welcoming respite from the usual fast food with Wok2Go. 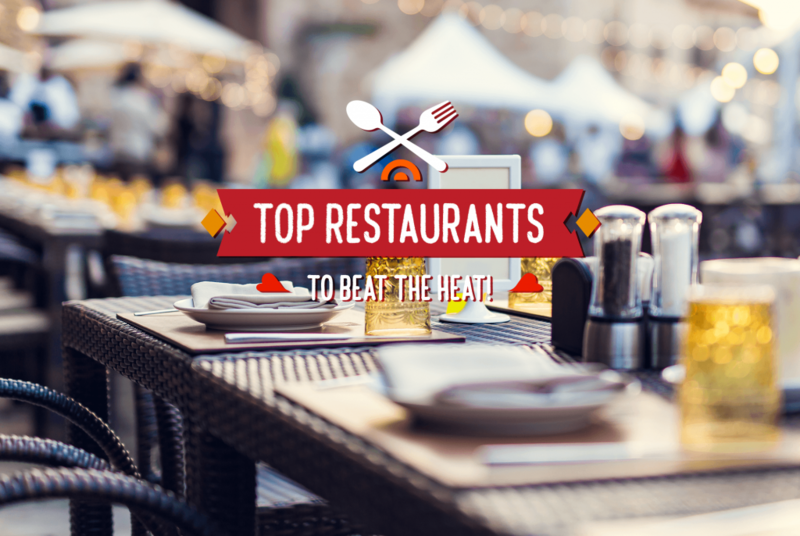 This healthy casual dining restaurant uses only the freshest ingredients with their signature sauces, served from a flaming wok. It’s a win-win! Silom Thai, offering a scrumptious Thai dining experience like no other! Enjoy your Thai food in a lush garden setting at Basil. They are best known for intimate gatherings and celebrations because their dishes are good for sharing, particularly the Tom Yum and Tom Kai. Find them at Ayala Malls on the 30th, White Plains, and SM Mall of Asia. Basil, flavorful dishes made with aromatic spices and the freshest selection of ingredients. For no-fail, hearty noodle dishes, make your way to Wang Jia Tea House where they serve traditional Chinese fare interspersed with modern flairs. You can’t go wrong with their Beef Brisket and Birthday Noodles Canton Guisado. 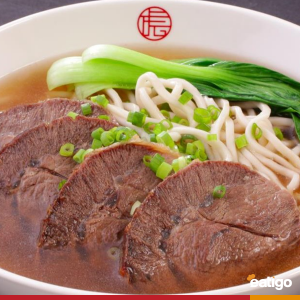 Wang Jia Tea House, indulge in a hearty bowl of noodle soup, rice meals, and more! Special occasions and big family gatherings are best done at Mazu Seaside Diner. Kids and adults alike will surely enjoy their seafood selection and assortment of noodles, including Bihon Guisado, Cha-Misua, and Beef Hop Pan. 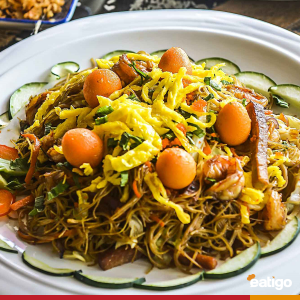 Mazu Seaside Diner, try out their assortment of noodle dishes that will give you your noodle fix. If Mazendo is best known for anything, it would be their hand-pulled noodles. 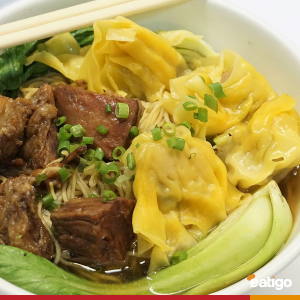 This Taiwanese franchise offers comfort food and pungent, flavorful bowls of noodle soup like the crowd-favorite Mala Beef Noodle Soup and Zhajiang which is an earthy dry noodle dish. Mazendo, hand-pulled noodles that will leave you satisfied to your heart’s content. 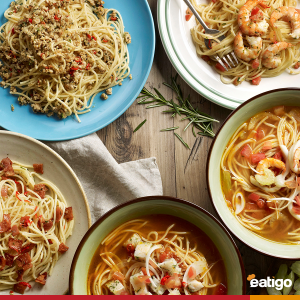 Another well-loved franchise is PastaMania, a casual dining chain which proudly serves authentic Italian cuisine. Take your pick between the Creamy Chicken, Carbonara, Ravioli Di Salmone, and Alfredo, each one is exquisite. Find them at SM Southmall and SM Fairview. Pasta Mania, your new favorite Italian go-to restaurant! 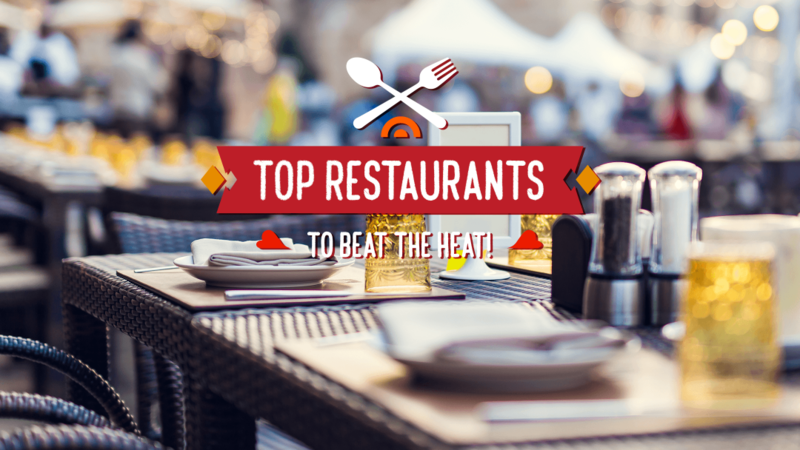 Enjoy huge discounts which go as high as 50% off to any of these fine restaurants with Eatigo. All you have to do is download the app, sign up, and scour the home page for deals. 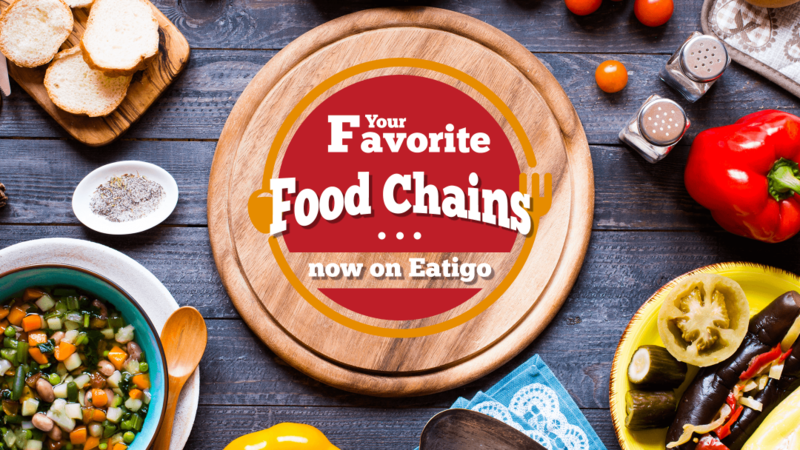 It’s safe to say, noodles are best enjoyed this November with Eatigo!